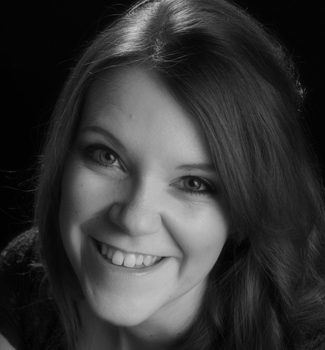 Please welcome guest author Sarah Juckes with an article on publishing. You’ve been submitting to agents for a while now, and although you’ve had a couple of close calls, your book is still unpublished. At this point, it can feel like you’ve reached a fork in the road. Do you keep going down the agent path, unsure if there’s anything at the end of it? Or do you take the self-publishing road, with its possible pitfalls? Many writers don’t realize that these two avenues to publishing actually run parallel to each other. You can switch between the two, so your book reaches as many readers as possible. I’ve been working in self-publishing for five years now, and I’ve noticed a real increase in the number of authors who are choosing to self-publish while they continue to look for a literary agent. Getting an agent is taking a while; I have readers who are waiting to read my book right now. I want to get feedback on my work. I want to feel like I am doing something positive with my writing career while waiting for responses. I might as well earn money from book sales while I’m waiting to be discovered. All these reasons make sense. Thanks to the wealth of opportunities now available to writers, you can pick and choose your own career path to suit your goals. Authors who choose to self-publish while looking for a literary agent are able to capitalize on the perks of self-publishing: a quick avenue to market, high royalty rates, and the ability to maintain a high level of control over the book. Thanks to self-publishing success stories, such as E.L. James and her Fifty Shades of Grey series, agents and traditional publishers are now actively looking for self-published authors and are ready to take their books to the next level with the expert editing, design, and marketing that often comes with traditional publishing. 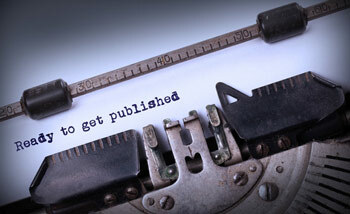 Agents and publishers will contact self-published authors who prove their book has a market. Agents are also actively searching writing platforms (such as Wattpad) and Twitter hashtags (such as #askagent), looking for books that have a clear readership and are generating excitement. Authors who use these platforms to reach as many readers as possible stand a good chance of getting discovered. DO: Continue to follow the agent’s submission guidelines. Give them any specific information they ask for. DON’T: Send an agent a copy of a book they can’t access – either in an ebook form or via an Amazon link. DO: Ensure the book looks as great as it reads. It’s easy to be put off by a bad book cover, no matter how good the writing is inside. DON’T: Overload a pitch with book reviews from family and friends. If an agent is interested, they will seek the reviews out for themselves, so work on making these plentiful (particularly on Amazon). DO: Add in sales data (if it’s particularly high), any awards the book has received since its release, and links to high-profile endorsements. Insights such as, ”This book has proved popular with X people” might also be useful – but DO keep these to the end of the cover letter and as succinct as possible. There’s no one correct way to get your book published. The wealth of opportunities available now means that authors are equipped with tools to carve their own paths, whether that involves self-publishing, traditionally publishing, or using emerging digital platforms. Walk the roads that make the most sense for your personal publishing goals. So, over to you. What have you learned from self-publishing and submitting your book to agents? Sarah Juckes is a writer and Communications Manager for CompletelyNovel.com. In 2013 she pioneered a partnership between CompletelyNovel and Greene & Heaton literary agency that sees top self-published books sent to literary agents for review each month. More information about the scheme can be found here.